Content | Illusion Walk Berlin the Virtual Reality Immersive Experience Provider. Our goal is to bring the user maximum immersion in a new medium between film and gaming. We serve an experience you will always remember as strong and present as a recalled dream. While walking within a fantastic storyline, you also interact and become a part of it. Multi-user experiences in large scale platforms demand a radical new approach in digital structure, narrative techniques and forms of storytelling. Illusion Walk follows a defined content policy, protecting the body and mind of our users and preventing shock, horror and brutality. With our network of specialized partner studios, we enrich our capabilities in design, 3D-art, asset production, animation, coding structure or photogrammetry. The Immersive Adventure is the most advanced VR-entertainment format – a crossover between cinematic storytelling and role-play interaction. 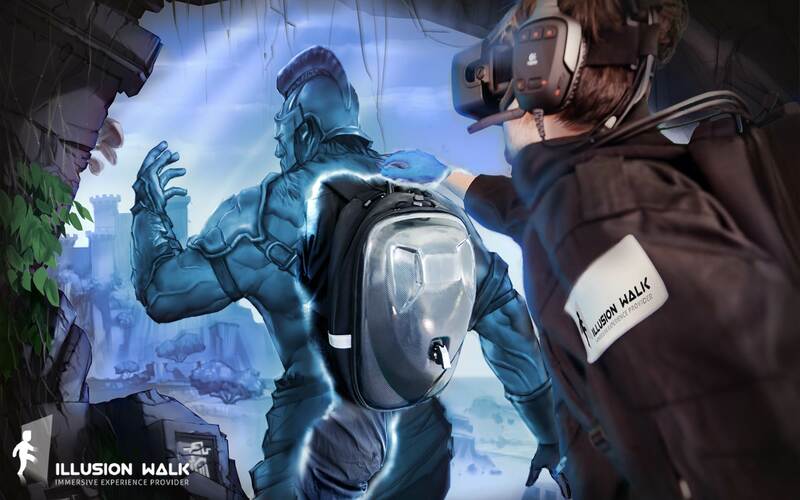 This highly immersive team event with a thrilling story takes place in a free-roaming large-scale playground along with impressive VR effects and interactions. As the long-range mayday signal from the spaceship Saratoga arrived, four chosen agents of the Time Warp Corporation were conveyed to the far reaches of our dimension. Soon, the agents will find out this first mission is not what they expected, and their skills will be tested to the max. 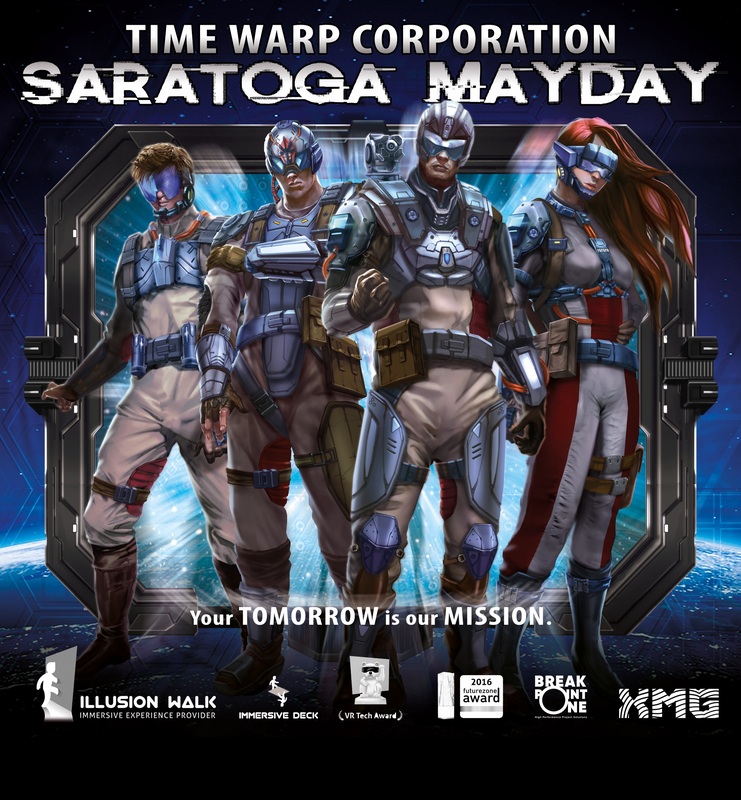 Illusion Walk presents “Saratoga Mayday”, the newest Science Fiction Adventure for the Immersive Deck. It is the first experience in a series of titles, centered around the agents of the mysterious Time Warp Corporation. A non-governmental global organization, sending teams of TWC-agents on space-time missions with only one ambition – “to defend the stability of our dimension”.